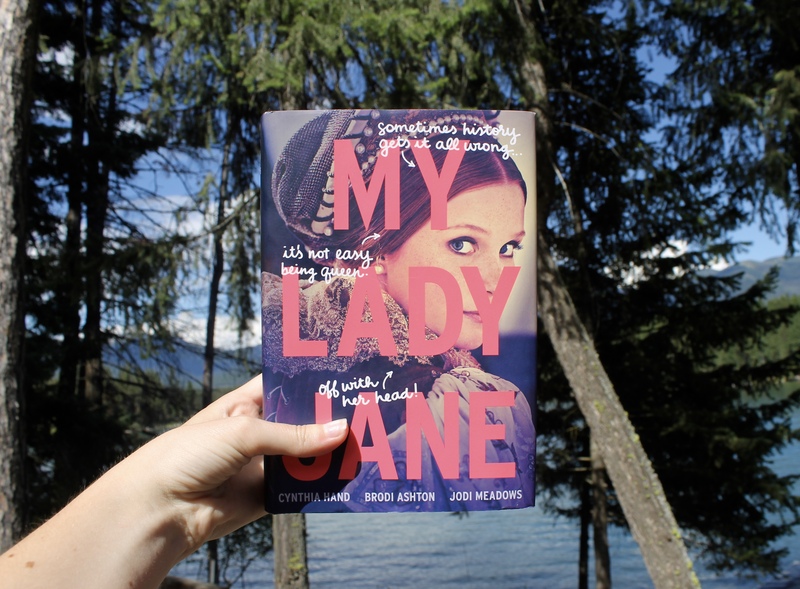 My Review: My Lady Jane is already one of my favorite books, and I only recently read it. Saying it’s basically the Tudors meet Monty Python/Princess Bride is spot on. It’s pretty much an alternate version of the story of Lady Jane Grey mixed with comedy. I don’t think you can get any better than that. I love history and historical fiction, and Monty Python is one of my favorites, and I love Princess Bride too. So first we have Lady Jane Grey. In the original story, her cousin Edward VI, appointed her as his successor when he was dying, instead of his sister Mary. Mary still believed she was the rightful heir, and nine days later marched into London and imprisoned Jane in the tower. Jane was eventually beheaded. Basically all that happens in this book, except Mary doesn’t actually have Jane beheaded. That’s where it strays from the original story, and I’m so glad it did, because it would be kind of boring reading a book with a main character that ends up dying anyways. I also totally wasn’t expecting for it to really stray from what originally happened, only a few differences, but nope. And, I totally loved how it ended that way anyways! Then there’s Gifford Dudley, who is actually Lord Guildford Dudley. Gifford is an E∂ian and changes into a horse every morning then back into a human at sunset. Of course Jane doesn’t know this before the wedding, and wakes up to a horse in their room. Awkward, right? I loved all the horse jokes. Anyways, Lord Guildford Dudley was imprisoned in the Tower with Jane and beheaded the same day as her. Also, he couldn’t change into a horse (at least I don’t think so). Anyways, in this story, he doesn’t die, but does only stay on the throne for nine days. Edward VI, who finds out he’s dying at sixteen, quickly appoints Jane as his successor because he didn’t want his catholic sister to turn England back into a catholic country. Mary was supposed to be the heir, until he made that decision, so, naturally, Mary is super angry with him. To try and get on the throne though, Mary also takes part on the plan to poison and kill him. What a great sister, right? In this story, Edward doesn’t die and escapes from the Tower, basically fakes his death, and flies away. Last summer, a famous Italian astronomer had done Edward’’s horoscope, after which he had announced that the king would live forty more years. Apparently famous Italian astrologers were big, fat liars. I don’t know, I would be pretty and if I found out I was dying at sixteen, only to later realize it was partially my sister’s fault as well. Like I said, this story starts off as a comedic version of the story of Lady Jane Grey. She gets married, becomes queen, and then imprisoned. But then, it doesn’t stick to the story. Jane basically figures out she can turn into a ferret and is an E∂ian, and her and Gifford escape. I don’t want to say much else because I don’t want to spoil anything, so I’ll leave it at that. The humor in this book is definitely my type of humor. It had me laughing out loud a ton, and trust me when I say I don’t normally laugh when reading books. Maybe a funny comment will make me smile, but rarely laugh. I loved every aspect of this book, but the comedy/humor has to be my favorite part, by far. I’m also not lying when I say I have so many markers in this book, I think it’s more than any other book. Most of the markers were just comments that brought a smile to my face or made me laugh. And the fourth engagement—well, the young turned out to not exist. Jane’s mother (for Jane’s father had died between the third and fourth engagements) had received a miniature painting of a handsome fellow, not realizing it had been a sample work—and advertisement for the artist’s skills. This one definitely got me laughing. I don’t know what else to say. I would keep going on listing all the parts that made me laugh, but that would take up like 100+ pages, so I won’t do that. I will leave you with this: read this book! one of my new favorites, and I loved every part of it. by focusing on both seo as well as search engine marketing. Thank you! It’s hard to find a good comedy book I feel like, and this one totally made up for it. Waaait a book that is like Monty Python and Princess Bride?! I WANT TO SEE THIS. XD I wasn’t sure if this’d be my thing, but I hadn’t read a proper review until yours and I think I’ve been convinced! bahah. It sounds wonderful! When I first heard about I didn’t think it really was going to be much like Monty Python or Princess Bride, but I was so wrong. Thank you for stopping by as well, and I hope you’ll be able to pick it up, because it’s such a good book in my opinion! I have heard nothing but great review for this book. Glad to see you loved it as well. I got this from Owlcrate (last month, i think) but I haven’t had anytime to read it yet. Great review!